Joyce Ann Taylor Padgett, 83, of Watha passed peacefully from her earthly life on Monday, March 18, 2019 at Lower Cape Fear Hospice Care Center. She was born August 5, 1935 in Duplin County, the daughter of Minnie Ann Heath of Jacksonville and the late, Archie Lenwood Taylor. Joyce was preceded in death by her son, Ronald Edward DeBose; brothers-in-law, Nathan Wells and Bill Burgess; and sister-in-law, Karen Taylor. 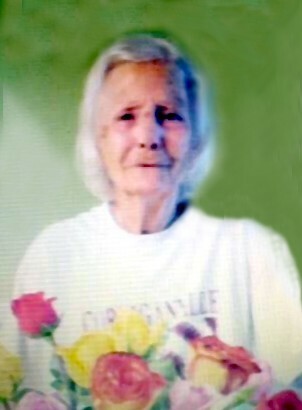 In addition to her 101 year old mother, Joyce is survived by son, Donald Ray DeBose of Houston, TX; sisters, Geraldine Jarman (Bobby) of Jacksonville, Annette Wells of Watha, and Darles Burgess of Atkinson; brother, Bobby Taylor of Heathsville, VA; and numerous nieces and nephews. In Maine, Joyce was manager of a convenient store, worked for the IRS in the tax department, and for several years was a caregiver. Joyce was a bright and shining light on this earth, an independent lady of many talents. She loved music, singing and knew all the words to most any song. Even as her dementia progressed, she still could sing, remembering words of songs. Never being an idle lady, her hands were always busy crocheting bedspreads, doilies, and other things. Most of all she loved her family and was loved in return. A graveside service will be 2:00 p.m. on Friday, March 22, 2019 in Riverview Memorial Park with The Rev. David Knowles conducting the service.